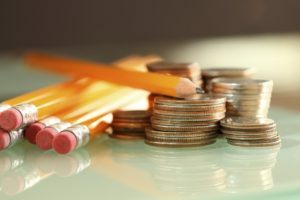 Home » Posts Tagged "tuition tax credits"
The House K-12 Education Budget Committee worked until nearly 9:00 last night taking up amendments to HB 2410, the school finance bill. The bill changed the LOB into three local levies, the Local Foundation Budget up to 20% a portion of which had to be transferred to bilingual and at-risk programs, the Local Enhancement Budget up to 5% that could be used for anything, and the Local Activities Budget up to 4% that had to be used for non-instructional purposes. A motion by Rep. Fred Patton (R-Topeka) replaced all three with a 33% LOB as in the prior formula. KNEA supports this change. The bill phased in all-day kindergarten over three years. On a motion by Rep. Clay Aurand (R-Belleville), all day kindergarten would become effective next year. KNEA supports this change. A motion by Rep. Melissa Rooker (R-Fairway) added $2 million in 2018 and another $2 million in 2019 for preschool at-risk programs. KNEA supports this change. Two motions by Rep. Jim Karleskint (R-Tonganoxie) added $800,000 for new teacher mentoring and $1.7 million for teacher professional development. 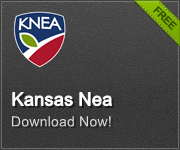 KNEA supports both changes. The bill had a five-year limit on bilingual aid for individual students. An amendment by Rep. Larry Campbell (R-Olathe) removed this limit. KNEA supports the change. A motion by Rep. Ed Trimmer (D-Winfield) to return bilingual weighting to the contact hours formula in prior law was changed by a substitute amendment from Rep. Aurand to distribute bilingual aid by FTE with a weighting of 0.185. While this results in no loss of overall bilingual funding, school districts that have successfully recruited bilingually licensed teachers will lose funding while those that have few such teachers will gain. KNEA supports a blended method that both funds students and encourages recruitment and retention of bilingually licensed teachers. Vocational weighting was not included in the bill. Instead, the bill would require districts to transfer $100/FTE to a career and post-secondary education fund to be used for vocational programs and dual credit opportunities. A motion by Aurand to require a $50/FTE transfer in 2018 and a $100/FTE transfer in 2019 with a vocational “hold harmless” provision failed. A subsequent motion by Karleskint to return to the prior vocational weighting and calling on the SBOE to study the cost of vocational programs for future funding considerations was adopted. KNEA supports this change. On capital outlay funding, a motion by Campbell to allow capital outlay funds to be spent on utilities was adopted while a motion by Rooker to exempt capital outlay levies from future TIF (redevelopment) projects failed. KNEA supported both amendments. An amendment by Rep. Brenda Landwehr (R-Wichita) to require a uniform accounting system with more detailed reporting to the state failed. KNEA is neutral on this amendment. KASB and school districts have opposed it. The bill required two student enrollment count dates (9/20 and 2/20) and used the average for determining funding. It also included a complicated three-year formula for examining enrollment going forward. A motion by Rep. Adam Smith (R-Weskan) returned the enrollment count to a single time (9/20) with a second count (2/20) for military dependent children. KNEA supports this change. The bill changed the corporate tuition tax credit (voucher) program by expanding the rules for student eligibility but then limiting the private schools’ families could choose to those accredited by the SBOE and that either exceed the trendline for post-secondary success or have an ACT composite above the state average. An amendment by Trimmer to remove the eligibility expansion and sunset the program in five years was not adopted. Instead, a substitute motion by Aurand that would remove the eligibility expansion and require students to be “direct-certified” by the Department of Children and Families while maintaining the new limits on eligible schools was adopted. KNEA remains opposed to the program but believes these changes are improvements. There were a few other amendments that failed and resulted in no changes to the underlying bill. At the conclusion of last night’s work, the committee was recessed – not adjourned – because one amendment was still under discussion and will be taken up again on Monday. That amendment by Rep. Adam Smith would return the transportation formula back to the prior law. Under the bill, the transportation formula was changed to address what is called “the algebra error” identified by the Division of Legislative Post Audit. There has long been a math error in the formula and correcting that error will cause school districts to lose transportation funding. Legislative staffers were directed to find a way to fix the math error and make adjustments so that schools will not lose funding. On Monday they will return to this amendment and see if it’s possible to do so. Monday may also see some additional amendments specific to funding amounts. The intent of those offering and adopting amendments is to end up with a bill that will provide $150 million in new funding each year for five years for a total of $750 million new dollars. Monday, then, is the big day. We expect that the Committee will send out their final product at the conclusion of their Monday meeting. At that time, we will examine the bill in its entirety to determine our position. We applaud the Committee for their hard work yesterday. The bill is dramatically better than it was when the committee convened at 1:00. In a press conference today, the Kansas Center for Economic Growth released the results of a new poll gauging public support for Governor Brownback, the Brownback tax policies, and public school funding. Kansans are deeply dissatisfied with both Gov. Brownback and his signature tax plan. 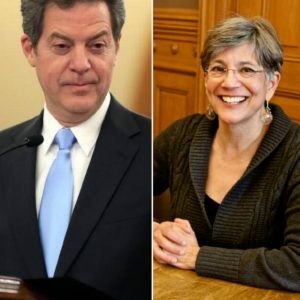 Two-thirds of Kansas voters disapprove of the governor’s job performance, with 67 percent who disapprove, and 54 percent who strongly disapprove. Those numbers are nearly identical to discontent with his tax policy (67 percent oppose it and 51 percent strongly oppose it). Nearly all Kansas voters are worried the state is not investing enough in public education. Eighty-five percent of Kansas voters feel concerned about the state’s level of spending on public education. Without comprehensive tax reform, lawmakers cannot restore funding to classrooms. There is broad consensus that the Brownback tax plan harmed the Kansas economy and should be repealed. Seventy-three percent of voters feel the governor’s tax policy hurt the Kansas economy, while 64 percent of Kansans support rolling back the Brownback plan. Several representatives will be holding morning coffee Q&A’s along with town halls this weekend. Contact your Rep’s office and find out if yours will be holding just such an event. Regardless, we encourage you to use the following link to the Alliance for a Healthy Kansas website where you can take action to contact your Reps and encourage them to vote YES to override the Governor’s VETO. Yesterday’s work under the dome went longer than usual because, both the House K-12 Budget Committee and the House Education Committee both met and conducted hearings on important bills. In the K-12 Budget Committee, the hearing on HB 2410 began. HB 2410 is the Chairman’s Bill on school finance. We explained the components of this bill earlier this week. This hearing will run for three days, ending on Monday, after which the Committee will begin the process of “working” the bill. We anticipate many amendments being offered at that time. On the first day, testimony was offered by KASB and a number of school superintendents. Today, KNEA was one of a long list of organizations offering testimony. KNEA suggested that there were a number of points in the bill that we support but we cannot support replacing the LOB with three funds, much of which would be restricted. We also testified that the funding in the bill – $75 million in new money – is woefully inadequate and would be rejected by the Supreme Court. Today, the same concerns brought forth by KNEA were shared in testimony from the Kansas PTA, Game On for Kansas Schools, the Eudora Superintendent, the Pratt Superintendent, and the Central Heights Superintendent. Later yesterday, the House Education Committee held a hearing on HB 2374, a bill which would radically expand the tuition tax credit program that drains up to $10 million from the state budget to send children to private schools including unaccredited private schools. HB 2374 would expand who is eligible to get a “scholarship” and expand tax breaks by giving individuals the ability to contribute to a scholarship granting organization (SGO) and get a tax break. Currently, only corporations can get the tax break. 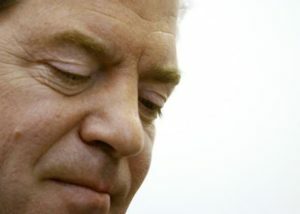 The bill was supported by the Kansas Policy Institute and the Kansas Chamber – two organizations working overtime to drain funding from public schools – and the Catholic Diocese of Wichita. Opposing the bill were KNEA, KASB, the League of Women Voters, Game on for Kansas Schools, Kansas Families for Education, the Mainstream Coalition, and the Kansas PTA. Committee Chairman Clay Aurand (R-Belleville) announced at the beginning of the meeting that he would not be working bill. This means that the bill is dead for this year as a stand-alone bill. The Committee will not meet again this year. There is a version of the bill in HB 2410 but the expansion there, while changing the definition of eligible students, does not expand the tax breaks and limits the scholarships to students attending accredited schools that do better than the trendline for post-secondary success or have an ACT performance above the state average. We walk for three days (Fri 24 – Sun 26), and arrive in Topeka on Monday, March 27th. Join us for all or part, but most importantly join us Monday at 10:30 am in front of the Kansas Supreme Court Building (South of the Capitol) for our final steps into the Capitol for a rally demanding reform. For the last four years, Kansans have walked to raise awareness of the need to fund public education. This year, education supporters are coming together with roadworkers, social workers, and other concerned citizens to support real revenue reform. A sustainable tax policy was passed by both the House and Senate, but the Governor vetoed the policy. The House managed to override the veto, but the Senate was shy just three votes to override the veto. Kansas is three votes away from a tax policy that will provide the structure required to sustain solid infrastructure, to provide support for vulnerable Kansans, and to invest in the education of our children. This year the walk will again begin from three locations: Merriam, Emporia, and Manhattan. The rescission bill (Senate Sub for HB 2052) we discussed earlier this week will almost certainly be up for debate tomorrow afternoon in the Senate. The bill does not contain any cuts to state agencies but Senate President Susan Wagle (R-Wichita) told the press today that she intends to offer an amendment containing across the board cuts to state agencies for fiscal year 2017 (which ends on June 30) during the debate. Wagle has not said what level those cuts might be except that they will be less than 5%. The Senate earlier was to consider a bill with a 5% cut to K-12 education but it was pulled from debate when it became clear it could never pass. Whatever the cuts turn out to be, if passed they will apply to both K-12 and higher education. We do not believe there is support in the Senate for any cuts but it’s best to be ready! The House K-12 Budget Committee has spent the last three days trying to come to a consensus on what will be in the “Chairman’s Bill” on school finance. Chairman Larry Campbell (R-Olathe) has announced that his bill will be ready early next week. He then plans to give a little time for it to be digested by the committee and stakeholders before holding hearings which he suggested may last several days. So far it appears that the formula will be similar to the old formula – likely a base amount with weightings to get to special needs such as at-risk and bilingual students. There was some discussion about how those weightings should be calculated. Today there seemed to be a general consensus to stick with free lunch for at-risk although there could be an effort to create a “blended” formula combining free lunch with students receiving services through a Department of Children and Families program. There was also an effort today to add additional all-risk funding for students not meeting at least two of the KSDE at-risk indicators. This would be similar to the old “non-proficient” at risk. KNEA has been a strong proponent of this to ensure that students who live in wealthy communities but are not performing satisfactorily get the help they need to be successful. Not much has been said about other parts of the old formula including capital outlay, new facilities weighting, and ancillary weighting. Also brought up in passing were declining enrollment weighting and cost of living weighting but there was little discussion. It is hard to tell if these will be included in the Chairman’s bill or not. There was support today for all day Kindergarten and pre-school school readiness programs as well as mentoring for teachers and professional development. Two contentious issues surfaced yesterday when Brenda Landwehr (R-Wichita) suggested an expansion of the tuition tax credit or voucher program and Scott Schwab (R-Olathe) suggested merit pay for teachers. Neither were discussed in depth. Also unknown is how the bill might address accountability. Some believe accountability belongs with the State Board of Education and KSDE while others seem to want it addressed in the finance bill. It is possible that this will be a bare-bones proposal. The Chairman told his committee members to feel free to prepare to offer any amendments they may have in mind. The issue of allowing firearms on college and university campuses is a hot topic this year as post-secondary institutions approach a July 1, 2017, deadline by which they must install security measures (metal detectors and staff) at every entrance if they plan to prohibit concealed weapons on campus. As you can imagine, the cost of such security would be prohibitive making it almost a certainty that campuses will be open to guns beginning in July. Bills have been introduced to repeal the deadline essentially allowing each institution to decide how to handle weapons on campus for themselves. Those bills had hearings earlier in the session and went nowhere. But today the House Federal and State Affairs Committee held a hearing on HB 2220 which would prohibit post- secondary institutions from adopting any policies about firearms at all. Under this bill, anyone could carry a weapon anywhere on campus at any time – a kind of wild west approach to college campuses. And despite the fact that the institutions oppose the bill, student and faculty groups oppose the bill, and parent groups oppose the bill, the fact that the NRA was there to support it appears to carry more weight. 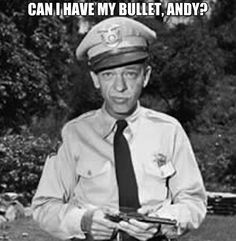 Rep. Ken Corbet (R-Topeka) tried to crack jokes about the situation saying that if Barney Fife had been allowed to keep his bullet in the chamber instead of his pocket, he could have stopped more crime. Of course, most know that the bumbling but lovable character played by the late Don Knotts was prohibited from keeping a loaded weapon due to his penchant for misfiring his pistol. The hearing on HB 2374, the expansion of the tuition tax credit or voucher bill, was canceled for tomorrow. It will be moved to Wednesday of next week. KNEA will be there to oppose the bill. The Senate begins work on pensions in the Senate Financial Institutions and Insurance Committee chaired by Senator Jeff Longbine. The committee has begun pension work by hearing testimony from the Executive Director of KPERS Alan Conroy who reviewed the KPERS System with the committee (KPERS 101) and a review of Working After Retirement issues. The Senate committee will hear testimony next Wednesday regarding HB 2268 which is the House version of updates to Working After Retirement. The Senate committee will hear testimony on Tuesday of next week regarding their version of an update of Working After Retirement covered in SB 138. Look for summaries and current information next week in Under the Dome. We are sad to say that Sharon Wenger, the Legislative Research Department’s staff member assigned to the education committees will be retiring after tomorrow. Anyone of you who has ever attended an education committee meeting in the statehouse would have seen Sharon answering questions and providing resource materials for committee members. It’s not only the legislators who love and admire Sharon, we lobbyists do as well. Her expertise, her demeanor, and her smile will be missed. And as jealous as we are, we can still manage to wish her well and thank her for her years of service to education in Kansas. Sharon was honored today by the House Education and K-12 Education Budget Committee members. The Senate yesterday debated Governor Brownback’s tax proposal (SB 175) which would simply raise alcohol and tobacco taxes and increase registration fees on businesses in a hopeless attempt to get out of the massive budget hole created by his reckless tax cuts. The Senate clearly recognized this and killed the bill by passing an amendment to strike the enacting clause on a vote of 37 -1. The enacting clause indicates when the bill would become law and by removing the clause, the underlying bill can never become law. The motion is the equivalent of killing the bill. One would think that this action would send a clear message to the Governor that the Senate, like the House, wants tax reform that brings Kansas back from the edge. Of course, the Governor is sticking to his failed policies like a pit bull on a rib bone. This vote moves the Senate to consideration of a better tax reform bill and that’s the good news. The House Federal and State Affairs Committee will be hearing HB 2220, a bill that would prohibit post-secondary institutions from adopting any policies governing concealed weapons on campus. This is the opposite of earlier attempts to allow those institutions to prohibit firearms on campus. HB 2220 essentially makes college campuses wild west institutions where anyone can do whatever they want with firearms. Under this bill, no campus could restrict where guns were permitted or who could carry them. Campuses would be completely unregulated when it came to firearms. KNEA opposes this bill and has called for the passage of legislation to allow colleges to make these decisions. On Friday, the K-12 Education Budget Committee will hold a hearing on HB 2374, a bill expanding the corporate tuition tax credit program. Under current law the state allows corporations to pay the tuition of at-risk children in Title 1 schools to attend a private school. The corporation gets a 90% tax credit for this. That means the state is giving away $10 million in taxpayer money to send a few kids to unaccountable private school. We are always fascinated by legislators and lobbyists like Dave Trabert who continually demand more and more accountability and testing in public schools but are perfectly okay sending millions of dollars to unaccredited private schools that report no results to the state at all. But then, we’ve been here a long time and hypocrisy should not surprise us. At a time when the Court has determined that our public schools are not adequately funded and that many in the legislature are still calling for cuts to public education; at a time when the state faces a two-year budget hole of over $800 million, it is irresponsible to continue to give away tax money for which there is no accountability whatsoever. The best thing for the legislature to do at this time is to simply repeal the program entirely and put that $10 million back in the budget where it belongs to serve all Kansans. Last week Secretary of Administration Sarah Shipman called together education stakeholder groups to discuss two of the “efficiency” recommendations that were included as part of the Governor’s budget this year. Brownback included a requirement that all school districts centralize purchasing through the Department of Administration. State agencies currently use this system and the Alvarez and Marsal efficiency study had suggested that there would be significant savings to the state if school districts joined. He also included an A&M recommendation that school districts consolidate into one health insurance plan like the State Employees Health Plan. Bills were filed that would accomplish both of these requirements. The K-12 Education Budget Committee was skeptical about the potential savings and asked Secretary Shipman to bring people together to discuss both issues and come up with recommendations. KNEA joined KASB, USA/Kansas, the Wichita schools, and Greenbush at the meeting. Also present was the anti-government Kansas Policy Institute. Today Secretary Shipman reported on the results of the meeting to the committee. In short, the recommendation was that the negatives far outweighed the positives and that there was no way to deliver any savings in 2018 even if the bills were passed. Committee Chairman Larry Campbell (R-Olathe) announced that he would not work the bills but instead let them lie until next year. He will also report to the Appropriations Committee that the bills would not have saved any revenue in 2018. Representative Ed Trimmer (D-Winfield) also pointed out that neither bill would provide a penny of savings to the state unless the legislature reduced school funding by an amount equivalent to the savings instead of letting any savings be redirected to classroom programs.